TVCatchup is an Internet television service for viewing free-to-air UK channels. It operates as a cable service and retransmits BBC, Channel 4, Channel 5, and ITV along with many more channels. 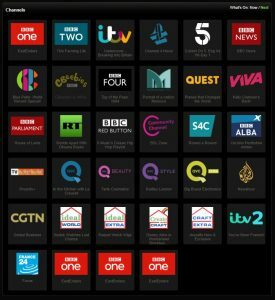 The service is UK only, overseas viewers should use Transponder.tv. Users can access the service via most browsers as well as smartphone and tablet apps. The service is funded by advertising, with a pre-roll advertisement preceding the live channel stream. 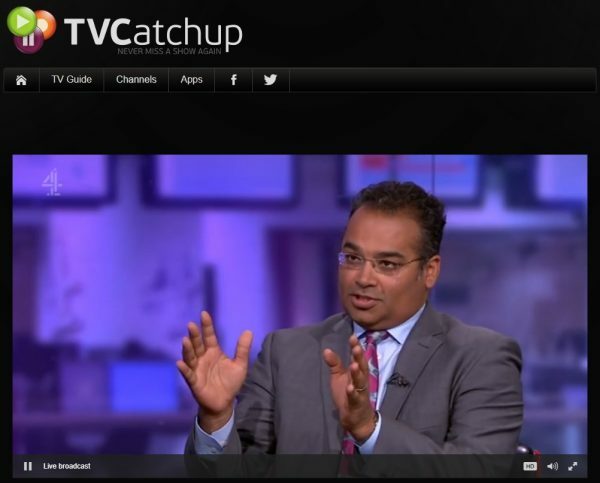 TVCatchup retransmits free-to-air channels appearing on Freeview and Freesat within the UK. Users can view up to 17 channels live via the Internet. The service is not currently geoblocked. TVCatchup retransmits free-to-air channels over the Internet on the basis of section 73 of the Copyright, Designs and Patents Act 1988 (CDPA 1988), which allows for the retransmission ofTVCatchup retransmits free-to-air channels over the Internet on the basis of section 73 of the Copyright, Designs and Patents Act 1988 (CDPA 1988), which allows for the retransmission of ‘qualifying services’. Retransmission to 3G/4G mobile devices is prohibited, though home WiFi Mobile reception remains unaffected. Channel streams on TVCatchup’s website are by default set to ‘Auto’, though streams are available at 1200 kbps, 900 kbps and 550 kbps. On the Android and Apple iOS apps, there is no option to change the stream bitrate. An app for Amazon Fire is also available and TVCatchup supports Chromecast natively via its website. A seven day TV Guide is available through the TVCatchup website.